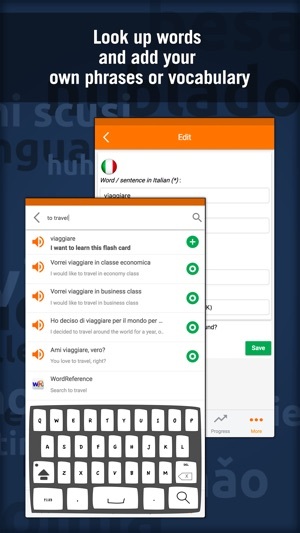 By using the dialogue exercises, you'll be able to improve both your Italian comprehension and your speaking skills at the same time. MosaLingua was designed by a Italian professor and a developer who actually uses MosaLingua on a daily basis. 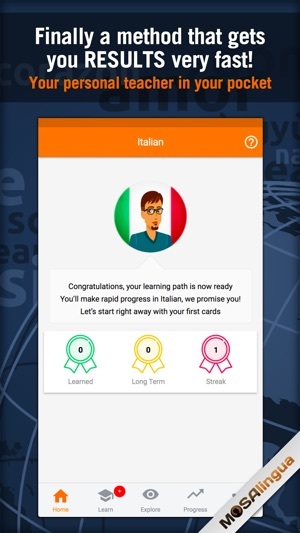 Whether you are starting Italian from scratch or you already know the basics, MosaLingua is adapted to suit your language needs. 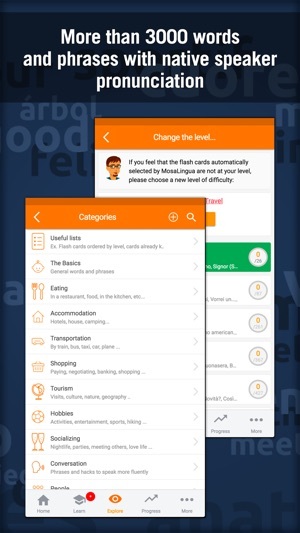 It's like having your own private tutor in your pocket! 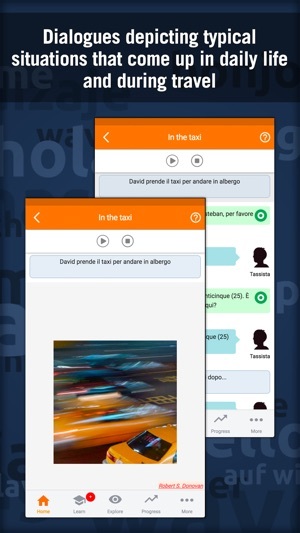 The Italian app is constantly being improved. We take user feedback into account. Free and regular updates are in the works! love the spaced repetition plus advice to keep you motivated. great job! 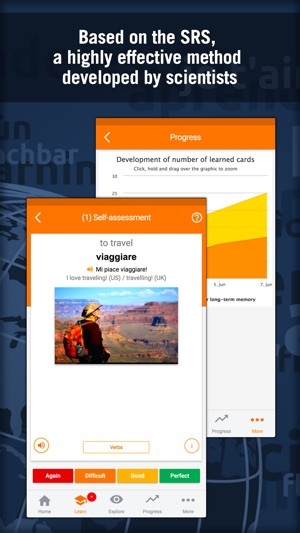 This is a great app for memorising Italian words, phrases as its method means you only spend time memorising the words that you are having difficulty with. So you don't waste time memorising the words you have already learnt.